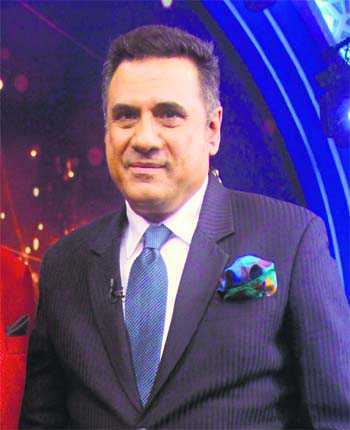 Boman Irani had recently shot with Amitabh Bachchan for the Bollywood superstar’s television show Aaj Ki Raat Hai Zindagi, and the much-awaited episode aired on Sunday night. The episode not only saw Boman come on Bachchan’s show as a guest to celebrate the extra-ordinary work done by ‘real heroes’, but the show even had him reveal his musical streak as he strummed a guitar. The versatile actor had earlier shared his experience on the show and tweeted, “Thanks Mr Bachchan for a day well spent with the heroes on your noble show #AKRHZ Was like therapy! @SrBachchan.” The actor also shared his pic with Bachchan and the ‘hero’ of the episode, Armstrong Pame, the first person from the Zeme tribe in Nagaland to become an IAS officer and build a 100-km long motorable road to connect a remote part of Manipur to Nagaland and Assam, without government help.